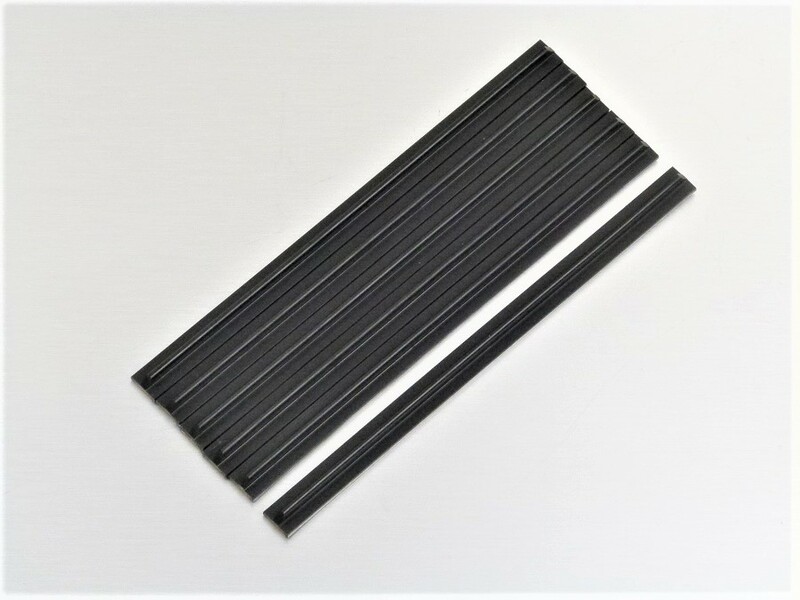 Set of 6 custom formed medium hard black rubber strips. Includes 3M adhesive tape factory installed for simple peel-and-stick installation. The tape side is rounded so that it forms to the hilt.